We connect the people we serve with vital community services. Many of the people we serve need help accessing social services. We’re happy to connect them with vital community services in our Community Wellness Centre. Our Community Wellness Centre is open during each of our Grocery Distributions. Retired community nurses, student nurses from UBC and BCIT, social workers, and specially-trained referral volunteers help our neighbours in need access health, mental health, and community services. RFB Community Wellness Centre volunteers also help the people we serve access job training, employment initiatives, and housing. 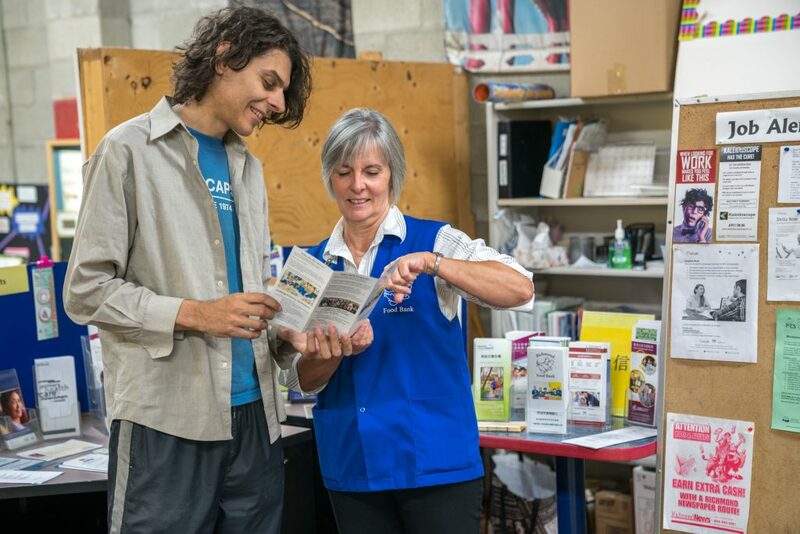 In addition to offering connections to social services, the Community Wellness Centre offers blood pressure, nutrition, and sun safety clinics frequently, and dental services and hearing screening twice annually. Please Contact Us if your social service agency would like to have a booth (either for one or several of our grocery distributions).